What do I need to do to get a mortgage? First Time Buyers love a fixed rate mortgage, this is because the rates are fixed for a particular number of years (usually 2, 3, 5 or even 10 years) so you know exactly what you are paying on a month to month basis. There are downsides to fixed rate mortgages, if the bank of england base rate gets lowered you will be staying at the higher interest rate. However, if they go up you are covered so long as you stay within the fixed period. At the end of the fixed rate mortgage period, you’ll be put on the lenders standard variable rate or SVR. 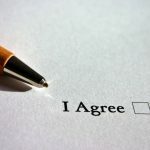 This will normally have a higher rate of interest, this is the time to re-mortgage or change the deal with the lender. What Kind Of Mortgage Do you Require? By clicking on GET QUOTE you are agreeing to the Terms and Conditions of this website. We will not sell your details to any external business for marketing or selling purposes. All details are confidential. How soon do you require a Mortgage? By clicking on GET QUOTE you are agreeing to the Terms and Conditions. All details are confidential. We were getting a little fed up of the local estate agents trying to use their mortgage broker, so we used google, filled out the form, spoke to a guy and had a mortgage which beat quotes from our own bank, with the same bank. Easy process from start to finish, made it as simple as possible for me. Life Insurance was sorted at the same time to save me doing it at a later date. Self Employed builder and struggled with mainstream lenders to get a Mortgage, took me 5 minutes to complete the form and within a week I'd been sorted. Mark and the team helped me loads and love living in my own house. We sent an enquiry about a mortgage and within a few hours a Mortgage Adviser called and went through out details. We received Mortgage Offer in Principal which we sent to the Estate Agents and within a couple of months we were in. The service received is second to none. Your home may be repossessed if you do not keep up repayments on a mortgage or other loans secured on it. Think carefully before securing other debts against your homes. We are an information only website and aim to provide the best guides and tips but can’t guarantee to be perfect, so do note you use the information at your own risk and we can’t accept liability if things go wrong. The info on the site is not tailored advice to each individual reader, and as such does not constitute financial advice. 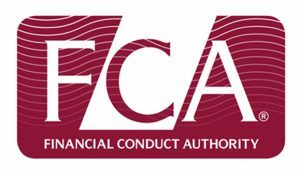 All the advisors and mortgage brokers we work with are fully qualified and regulated by the FCA, and they will offer any advice specific to you and your needs. There will be a fee for mortgage advice. The actual amount you pay will depend upon your circumstances. The fee is up to 1% of the amount borrowed. onlinemortgagecalculators.co.uk is an information website. All of our content is written by qualified advisors, for the sole purpose of providing great, up to date advice on all things to do with mortgages. Registered in England under number 10014924. We are an introducer to mortgage brokers registered on the FCA register, for a full detailed list please get in touch. We may be paid a fee by the brokers for introducing your details to the broker. We do not sell your details to any third parties but may use your data to keep in touch with regards to our latest news and offers. You can UNSUBSCRIBE to this at anytime. Copyright © 2017 & All Rights reserved.